When used by professional therapists in all of its facets, music has the ability to heal. At the MGH, music is used to connect with patients of the Mental Health Mission. Through regular sessions, patients get to access their emotions, express their feelings, and open new doors to healing. Le groupe MusiArt was created at the Montreal General Hospital (MGH) to improve and maintain mental health through creative expression while increasing well-being, self-esteem and concentration. It is made up of patients accompanied by music therapist Dany Bouchard. In 2016, Blues musician Antony Gomes came by the hospital for a jam session and provided, via his foundation, Music is the Medicine, music-listening stations and new equipment for the music room of the psychiatric unit. 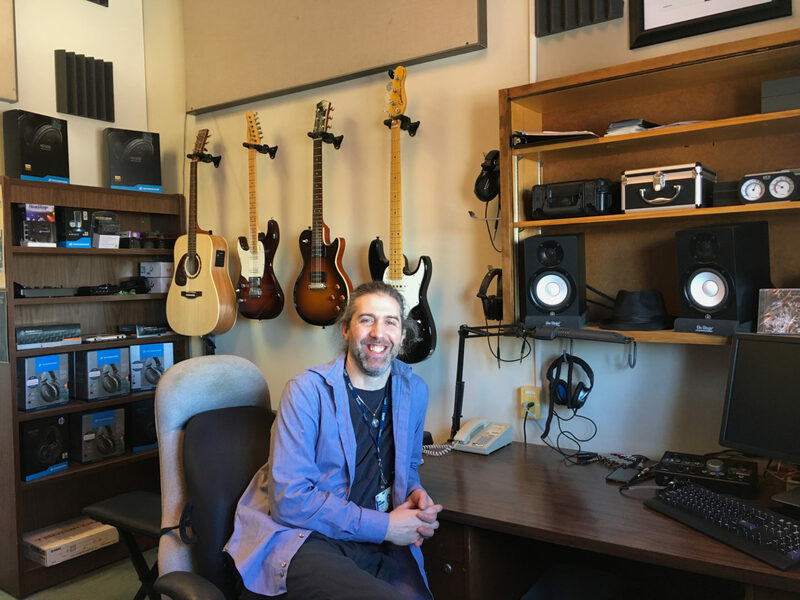 In January 2018, the MGH inaugurated its music therapy studio, the fruit of a partnership between the Montreal General Hospital Foundation, Music is the Medicine, Sennheiser, Godin Guitars and many others. It is the first studio of its kind in Canada to be located inside a hospital. Art is not a luxury. It provides answers to what we aren’t able to express in words. In our music therapy sessions, we focus on what’s going well, on what people can accomplish.